A provisional date for the full inquest into the eleven deaths following the Shoreham airshow crash has been set for September 2018. A pre-inquest review was held at Centenary House in Woodfield Road, Crawley, today (Tuesday, June 20). Coroner Penelope Schofield set out a rough time-scale for the process to move forward, but acknowledged the inquest would have to be delayed if the CPS decided to prosecute the pilot. Sussex Police are investigating pilot Andy Hill, 53, for possible manslaughter by gross negligence and for possible endangerment contrary to Article 138 Air Navigation Order 2009. On Saturday, August 22, 2015, 11 men lost their lives when the Hawker Hunter jet he was flying crashed during a display at the airshow. The pre-inquest review heard that police had ‘moved on significantly’ with their investigation – which, as of June, consisted of a database of 25,000 documents. “It is my opinion that the investigation is 95 per cent complete,” said Detective Superintendent Adam Hibbert. A second voluntary interview was held with pilot Andy Hill earlier in June. Police have provided the CPS with an initial file and, once ‘a number of outstanding enquiries’ are dealt with, a full report will be submitted to the CPS for their consideration, Det Supt Hibbert said. He was unable to say how long this would take but hoped it would be handled ‘as quickly as possible’. “We continue to work with the families and I’m extremely grateful for their support in what are extremely upsetting circumstances,” he said. Gerard Forlin QC, a barrister appointed to represent all of the families through the inquest process, said they were ‘disappointed’ by the delays. He said: “This matter took place over 22 months ago. The coroner requested that updates to the police investigation were issued on September, 30, and November, 30, and put into the public domain. Another pre-inquest review was scheduled for January, 24, 2018. The full inquest is expected to last from eight to ten weeks. Mrs Schofield said she echoed the families frustration about the length of time it was taking. 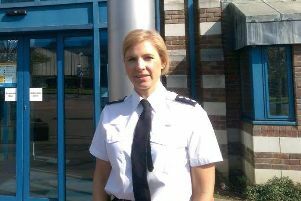 But she assured families that she was satisfied the police were ‘moving forward as quickly as possible’. She stressed that the inquest should not be pushed beyond 2018, but said ‘it may be a situation where my hands are tied’. Following the pre-inquest review, James Healy-Pratt, head of aviation and travel at Stewarts Law, who is representing the majority of the bereaved families, said: “With the second anniversary of the terrible tragedy at Shoreham Airshow fast approaching, and despite over one year passing since the last pre-inquest review hearing at Horsham, the bereaved families continue their search for the truth about how their loved ones lost their lives in this accident. “The families are still determined to play a full part in the lengthy inquest process to ensure that all necessary regulatory changes are identified and enforced. The review had been postponed from November due to the ongoing police investigation and so that the final report by the Air Accident Investigation Branch could be considered. The report, published in March, found the pilot had carried out a loop-the-loop maneovre too low and too slow.